kits, one for the body and wheels, the other for the engine. no service manuals. I would like to determine what history and features this car actually has. Any assistance you can offer will be greatly appreciated. Several things you should do to verify the car is actually an early model AMG. 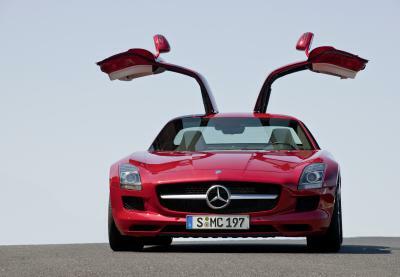 First, contact the Mercedes-Benz Classic Center and request a data card for the vehicle. Also, run a history check using services such as carfax (more info here). Once you have more info, contact a qualified MB mechanic and have them take a look at the engine mods. You can’t determine if the vehicle is an AMG from the VIN for pre-merger vehicles (no records are available from AMG or MB). I hope this helps.